Then Python Wheelmen Bicycle as each Williamson Goods product can be anchored in a new category, namely, luxury sports equipment. Each Williamson product is hand-assembled and tailor made in Detroit. 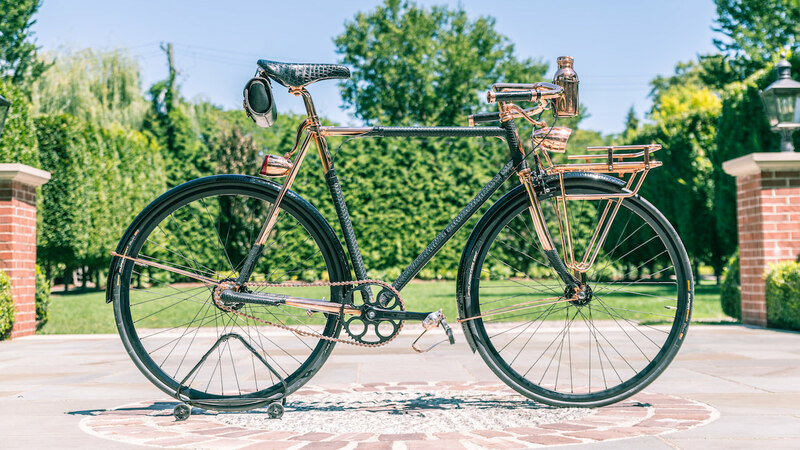 Hand-brazed, Python Wheelmen Bicycle is truly unique by its style as well as its components and only 10 bikes of each colours will be produced, or a total of 30 bicycles. Every component is wrapped with hand-stitched rare and quality materials that perfectly mix refinement and technologies. Concerning materials, these are truly astonishing! Indeed Python Wheelmen Bicycle is, as its name indicates, covered with python and crocodile skins and moreover they are certified as harvested in a sustainable and humane process. The different tanneries have been realized without any chemical products so all the authenticity and quality of the different skins are preserved. 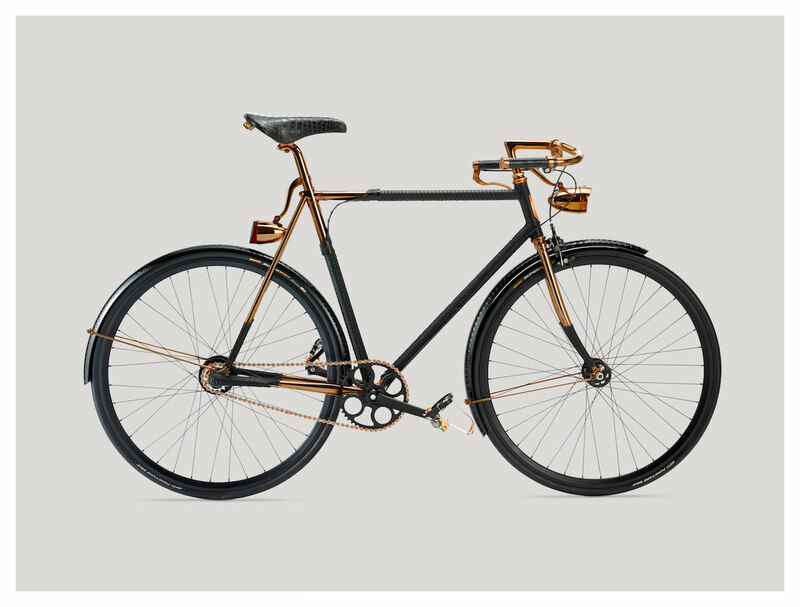 Each Python Wheelmen Bicycle will be engraved with its serial number (1 of 10, 2 of 10 etc.) so each owner will recognize the unique character of its bike with a blink of an eye. 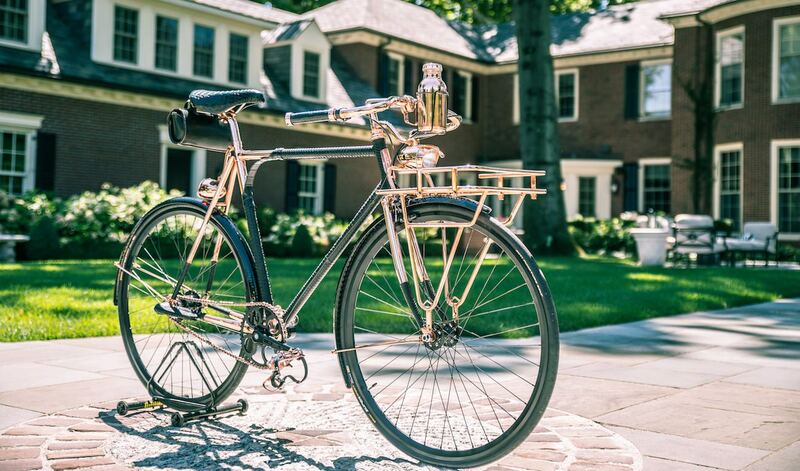 Incredibly stylized, these bicycles are made with chromed steel and copper plated to suit all townie dandies. The fork, the saddle, the handlebar…everything has been covered with python or crocodile in order to bring amazing comfort to the owner. 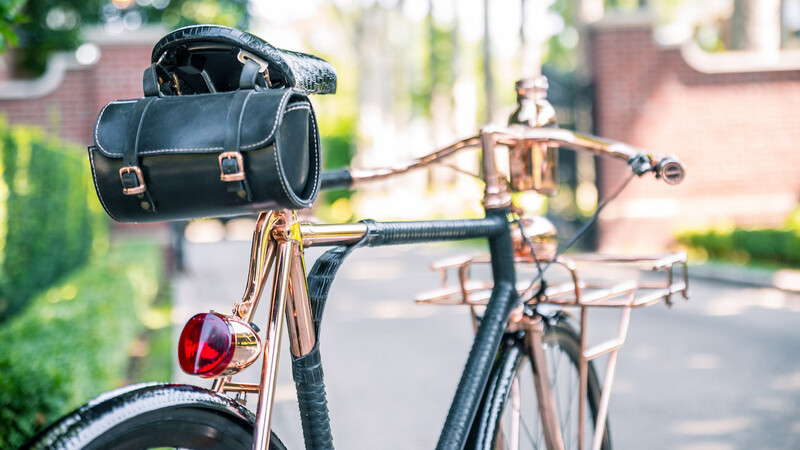 Python Wheelmen Bicycle comes with many luxurious accessories like a copper plated front carrier rack, copper plated beverage canister, black leather saddle tool bag, as well as a center kickstand. 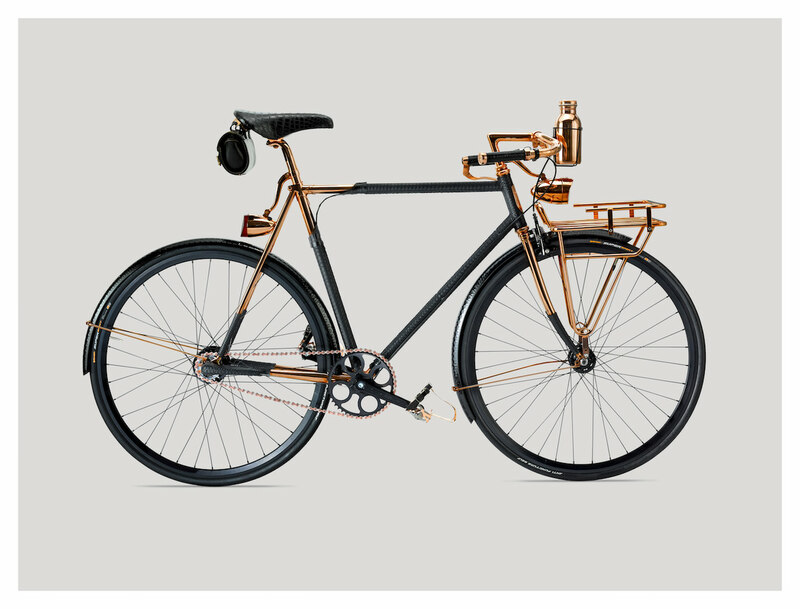 The three colours are black copper, white copper, and any other colour that can be realized upon request for the ten last models. Moreover, Python Wheelmen Bicycle can suit all of its owner as it can be chosen in three different sizes: Small, Medium or Large and there again some sized can be realised upon request. And if you appreciate that kind of luxury sports goods, Python Wheelmen Bicycle is far from being the last project of the company as they are actually developing golf clubs and bags, cricket bats, surf boards, soccer balls and even tennis rackets and many more…so it is truly the brand to follow! Share the post "Williamson Goods vous offre une balade à vélo de 35 000 dollars avec le Python Wheelmen"